For many residents of Sydney their knowledge of the drought in NSW is what they see on the evening news. The fish kill near Menindee on the Darling River or the fact the Namoi & Barwon Rivers are dry and are no longer providing the township of Walgett with drinking water. But this drought is affecting areas a lot closer to home than many city people realise. 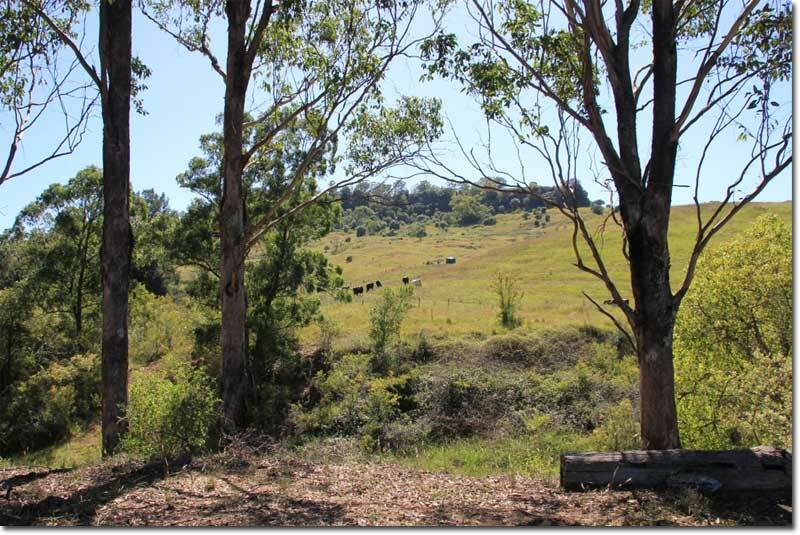 One such example is a dairy farming family operating on the outskirts of Sydney. The farm (Country Valley Dairy) at Picton in Sydney’s south-west (some would suggest on the edge of suburbia) has been in the Fairley family for more than 160 years and they have endured dreadful drought conditions. The hills surrounding the Country Valley farm. The recent rains have helped but the drought is not over. “The farm has been in the family for too long to walk away so in May last year we put out a call for help to keep going” said Sally Fairley. “John and I came up with the idea to ask some locals to adopt a cow by donating money to keep them in feed until spring.” The appeal went out on social media and there was a tremendous response but this scheme alone was never going to see them through this drought. It was these social media posts asking for help that first captured the attention of ACC member Kathy Snell (Golden Westerners branch). It seemed timely last month when the ACC initiated its Drought Assistance support scheme, that the Fairley family farm could be a good candidate for assistance. Kathy called Sally Fairley for an update on how things are going. “Although some rain has fallen we’re still a long way from being able to declare the drought is over and some hand feeding continues. Any donations we receive now go towards paying outstanding accounts with our creditors, who have been most understanding of our situation” said Sally. Two weeks later Kathy was able to inform John & Sally Fairley that the ACC had approved assistance in the sum of $350.00. “Thank you so much for speaking on our behalf to your club as we really appreciate your support and kindness” said Sally Fairley. “This is a good example of how the ACC can assist our farmers and farming town communities with a cash donation” said Graham Humphreys, the ACC Drought assistance contact representative. Branches and members are encouraged to think about how you can help out a rural family, community groups or a rural assistance body. Applications are still open, so don’t miss this opportunity. For more information and guidelines visit the ACC website and go to The Club > Club Documents > ACC Drought Assistance Support Guidelines. When Bob Elkington and Jennie Morison from the Wait Awhile Nomads branch in Western Australia were checking out caravan dealerships to purchase a new caravan they selected Luxury RV. Recently relocated to Rockingham, the team at Luxury RV’s have over 40 years’ experience in the caravan industry and the team endeavour to provide the ultimate customer satisfaction. 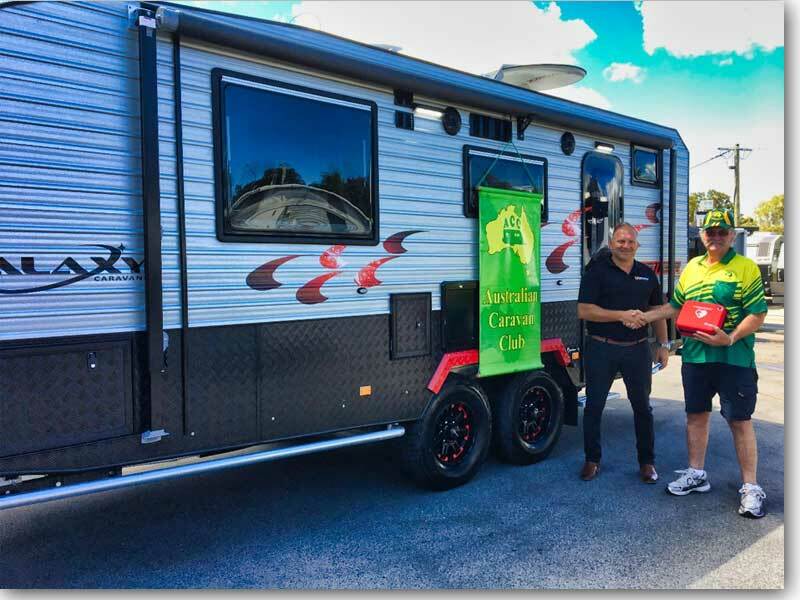 When Bob and Jennie were finalising the purchase they decided to approach Luxury RV`s General Manager Luke Bell to request sponsorship for their branch in the form of a defibrillator. Luke was more than happy to oblige. “This defibrillator will be a life-saving addition for the members of the ACC Wait Awhile Nomads group” said Mr Bell. When Bob and Jennie collected their new Galaxy Caravan, Luke Bell also handed over the new defibrillator to Wait Awhile Nomads Branch Secretary David Braidwood. “Our branch members sincerely thank Luxury RV Rockingham for this extremely generous sponsorship. With a branch membership of 62 this defibrillator has the potential to save lives” said Mr. Braidwood as he took delivery of the new defibrillator. “Congratulations to Bob and Jennie on picking up your New Galaxy Caravan! The Luxury RV team here thank you for your continued support and wish you both the very best for your travels” said Mr Bell. Realising the importance of the availability of a defibrillator during branch musters and tag-a-longs, especially when travelling in remote areas, the branch members had been raising money towards the purchase of a defibrillator. They have now decided to donate some of the funds raised so far to St Johns who in turn have offered to provide qualified trainers at a future muster in the use of this very important piece of equipment. The Club is looking at forming a branch in the Goulburn Valley. Derek Hale the State Membership Representative will hold an informal information session for those interested at the Shepparton RSL on Tuesday 19th February at 7:00 pm. Derek and Gwen will be having dinner at the club from 6pm and you are more than welcome to join them and a table has been booked – “caravan group”. Please contact Derek if you intend to come along on this evening by the 12th February so numbers can be confirmed with the RSL. This is a great opportunity to be part of something new in the region. So whether you are an existing member or wishing to join the club and live in the area please come along. The Victorian State Muster will be held at Surfside Holiday Park at Warrnambool from Wednesday 24th to Sunday 28th April. 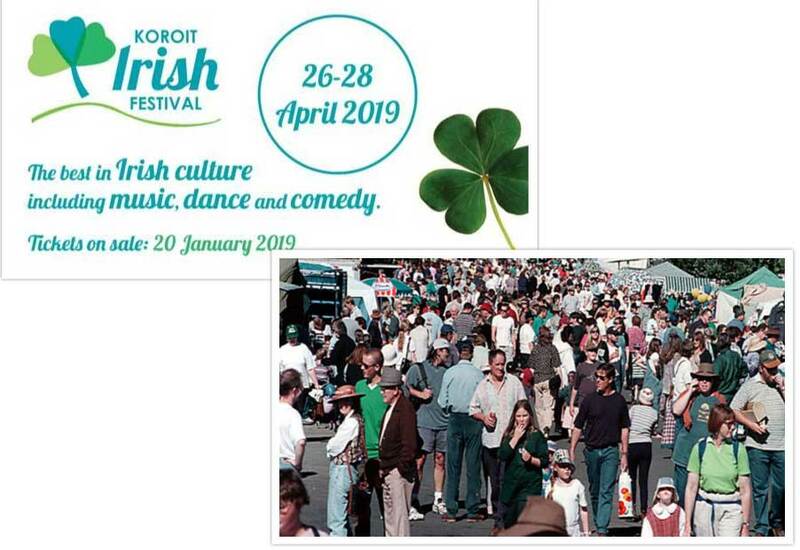 This event coincides with Warrnambool’s Koroit Irish Festival which members are encouraged to attend while at the muster. As this is the venue for our Nation Muster later this year a meeting with Terry and Pam Hawkins will be held to find out how their preparations are going and to see it they require any help in October. There will not be any activities organised that will duplicate those offered at the National Muster. ACC congratulates the Blayney community on the support provided to NSW farmers. 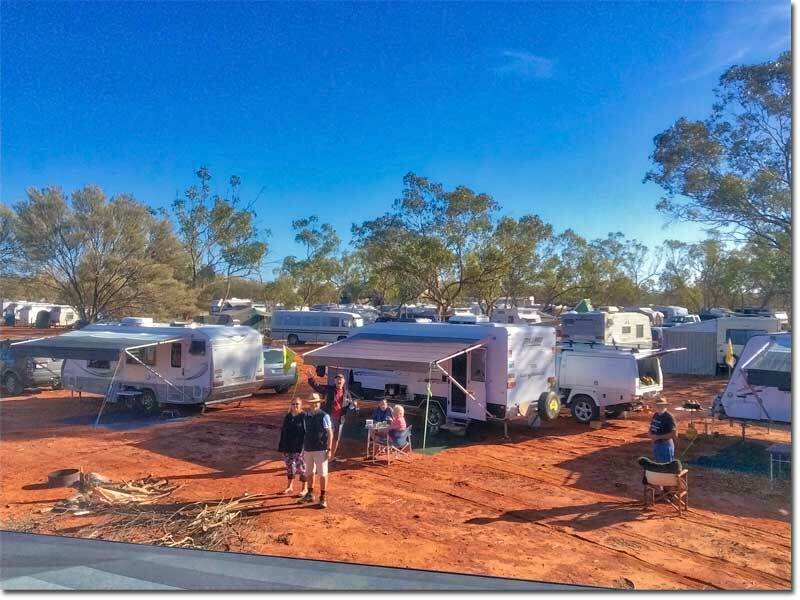 ACC members are encouraged to show their support by working within local communities by applying for funds through the ACC drought relief scheme - guidelines available under documents at www.australiancaravanclub.com.au (Sign in first). The Organising Committee of the Murray Bridge Chairman’s Muster have been more than been overwhelmed with the response to the Expression of Interest from Members wishing to attend. At the moment they cannot accept any more registrations until those people who have already registered have completed their formal registrations and payments. The caravan park is filled at this stage. Any further expressions of interest will have to go onto a waiting list, should places become available due to cancellations. The Australian Caravan Club (ACC) staged the initial National Muster at Byron Bay in 2007 with much discussion on the formation of branches around the country. An enthusiastic new ACC member, Brian Semmler set about establishing a branch with its base in Dubbo, NSW. In June 2008 the Golden Westerners were established during a muster at the Molong Caravan Park. In November this year Golden Westerner members were invited to Gulgong to celebrate the 10 year anniversary of the branch establishment. 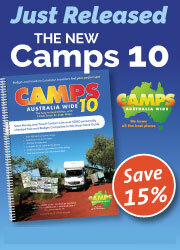 This was a week-long celebration based at the Gulgong Showground with 23 RV’s attending. The week’s activities included barefoot bowls, golf and a ‘blind’ wine tasting where members were given the opportunity to test their knowledge of the wines of the local district. The 10th anniversary dinner was the muster highlight involving 50 members and special guests at the Gulgong RSL. Branch President Graham Humphreys welcomed guests and spoke about the establishment and history of the branch. “Some of our branch founding members have reluctantly retired from the RVing lifestyle but we felt it important we include as many as possible on this special occasion. Their efforts and contributions in those early years resulted in the branch growing to 40 units today and it was wonderful to see Brian and other inaugural members able to join us” said Mr Humphreys. Members were entertained during the dinner with a slide show of photographs that have been captured from the 43 musters and tag-a-longs held over those 10 years. This revived many fond memories and also a few good laughs. The Golden Westerners initially targeted caravanners living in Western NSW. The branch can now lay claim to members from all corners of the state. ACC Chairman Craig Humphrey congratulated the Golden Westerners on reaching their 10 year milestone. “The Golden Westerners was our Club’s third NSW branch to form and has successfully served RVers across NSW country regions for the past 10 years. On behalf of all ACC members, I congratulate the branch” said Mr Humphrey. Any RVer requiring further information about the ACC or its Golden Westerners branch can contact the ACC on 1800 734 493.